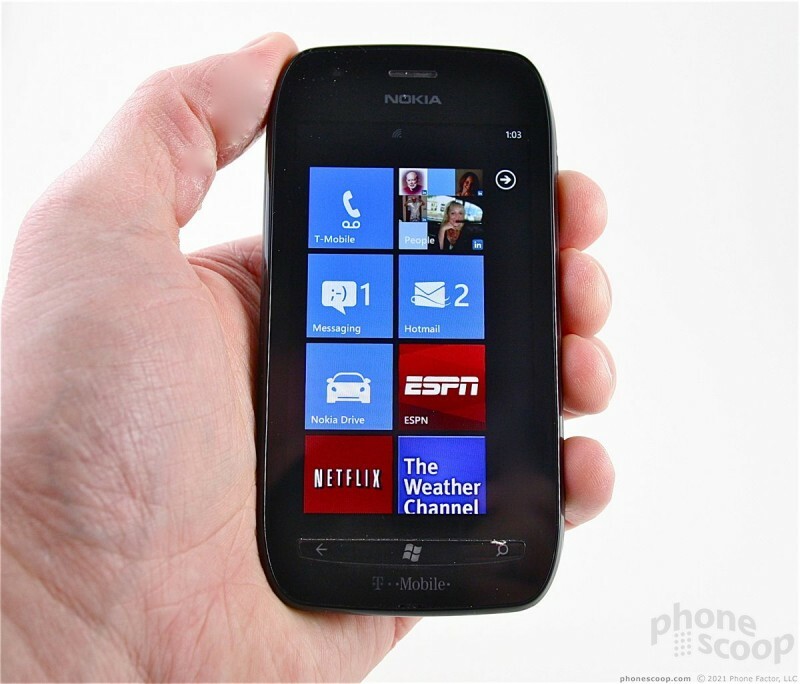 The Lumia 710 is unlike most Nokia phones you've ever seen. The company has revised its design language to match its new smartphone operating system of choice — Microsoft's Windows Phone 7. Microsoft's platform requires that Nokia include certain design elements in the 710 that it may or may not have otherwise chosen. 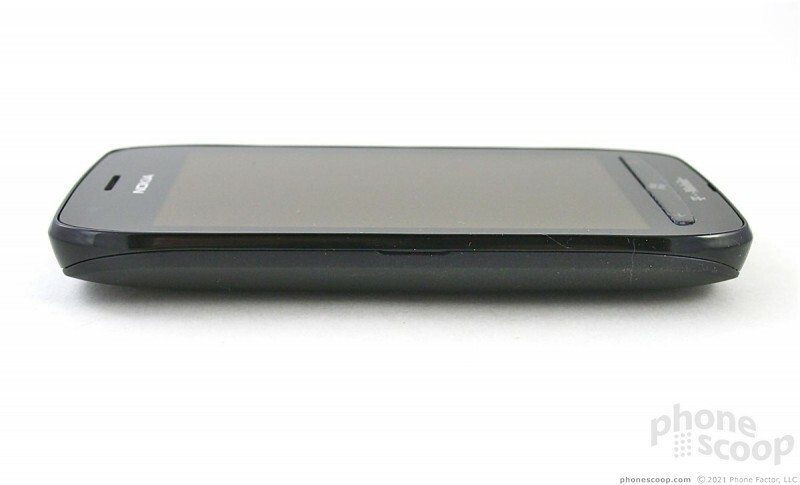 From a distance, it could be mistaken for any low-end or mid-range Android smartphone. 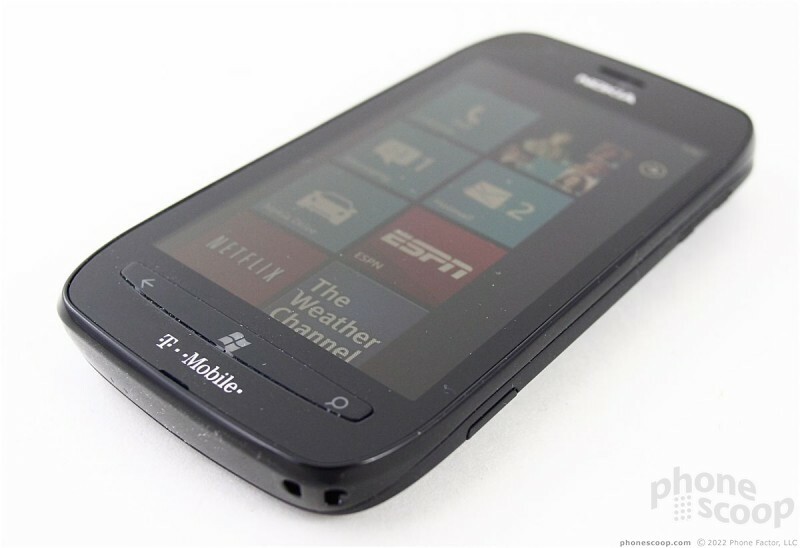 It's a black, slab-style device with few distinguishing markings aside from the WP7 control buttons on the front. (The 710 will also be available in white.) 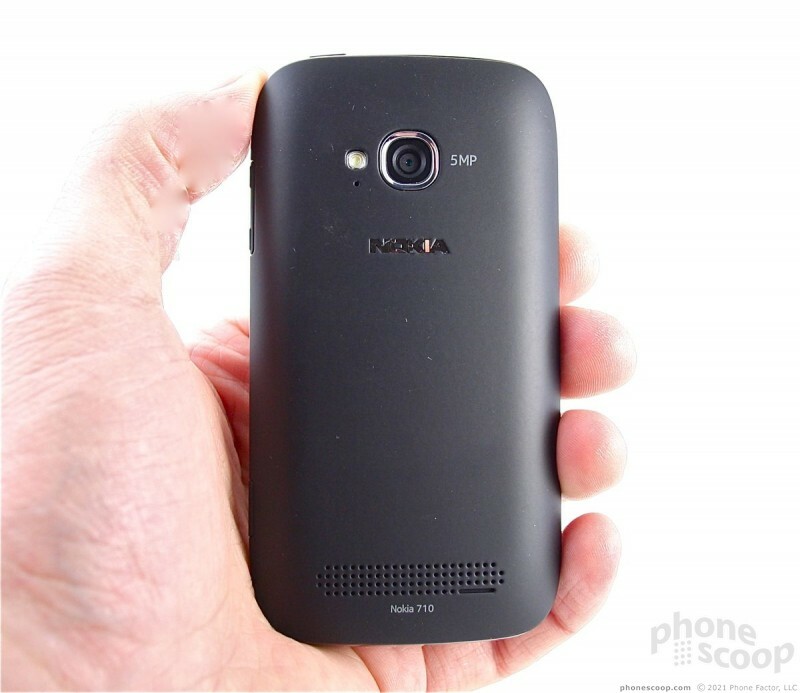 The 710 is the lesser of the new WP7 smartphones from Nokia, and you can tell by the materials and size. While the length and width are fairly compact, the 710 is a wee bit thicker than I'd like it to be. It's not egregiously thick by any stretch, but it's no RAZR, either. It's fairly light and feels comfortable in the hand. The back surface is covered in soft-touch paint, which is nice when pressed against your skin. The sides and back form a bit of a C shape, and the curve lets the 710 sit deep in your palm. The materials are good, but not great. There aren't any metals or high-quality glass; instead, plastic. 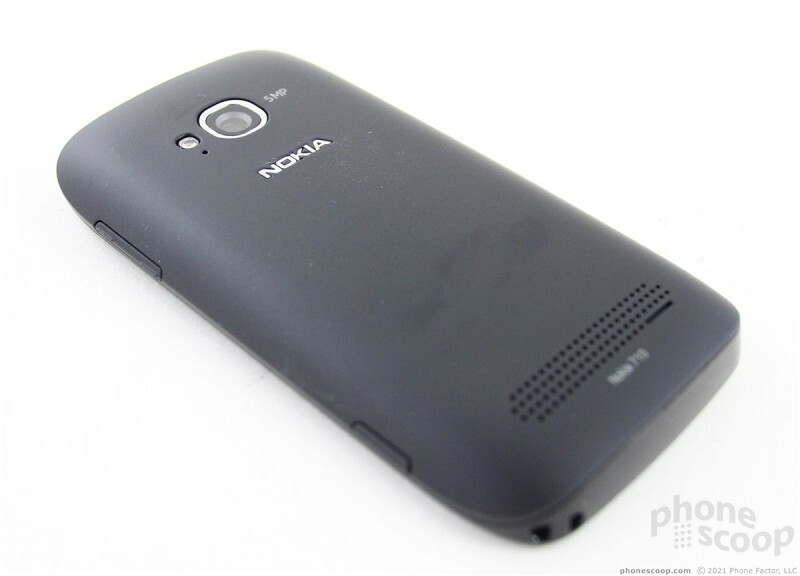 The 710 is well put-together, though, and you can tell that Nokia took care in its manufacture. Its size will allow you to fit it into a pocket easily, but the rubbery soft-touch surfaces will make it difficult to retrieve from tight jeans. 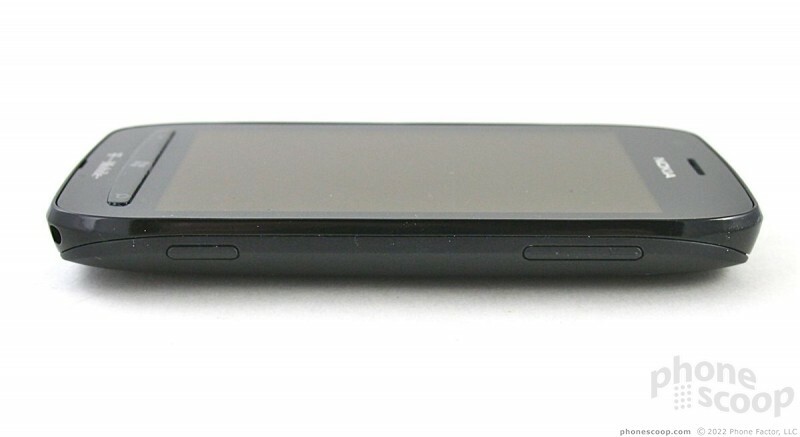 The front of the 710 is a solid surface, broken up only by WP7 controls at the bottom. 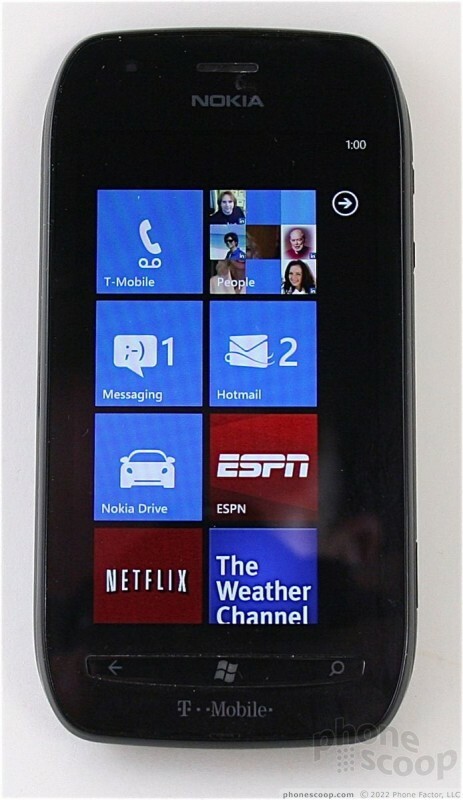 The three standard Windows Phone buttons are combined into a strip that's about two inches long. The Back function is to the far left, the Home key in the middle, and the Search/Bing key is on the far right. The problem with this control strip is that the travel and feedback is terrible. The button is complete mush no matter where you press it. There are no controls on the left side or bottom of the 710. The volume toggle is on the right side of the 710, as is the dedicated camera button (which is required by Microsoft). The volume toggle is a thin, sharp strip that is wholly unsatisfying to use. The travel and feedback are awful and it doesn't feel good under your thumb at all. The camera button is just as bad. It's almost impossible to tell you're pressing it. In fact, the only clue that you've pressed the camera button is that it suddenly shoots a picture. Two truly terrible buttons, Nokia? What gives? 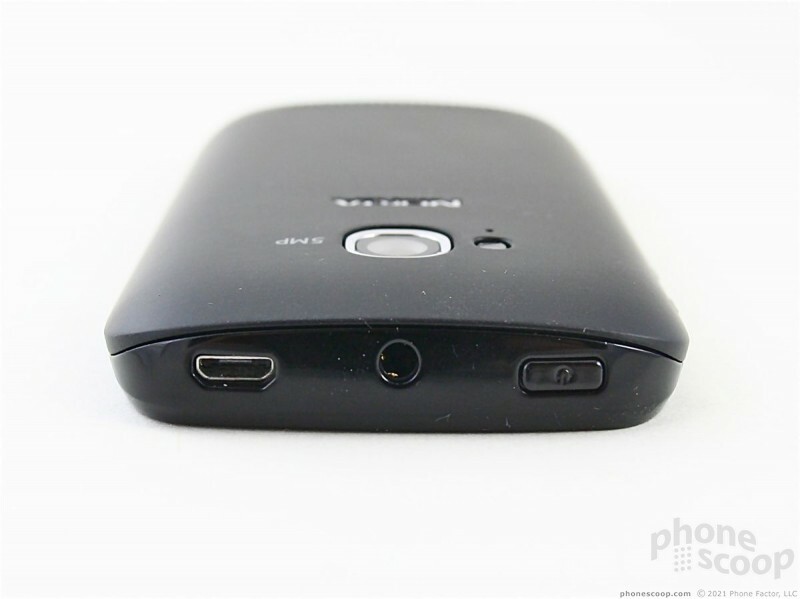 The power button, microUSB port and 3.5mm headset jack are all on the top edge of the 710. The power button is small and too flush with the surface, making it hard to find and use. It's somewhat better than the volume toggle and camera button, but not much. You have to press it well into the phone. 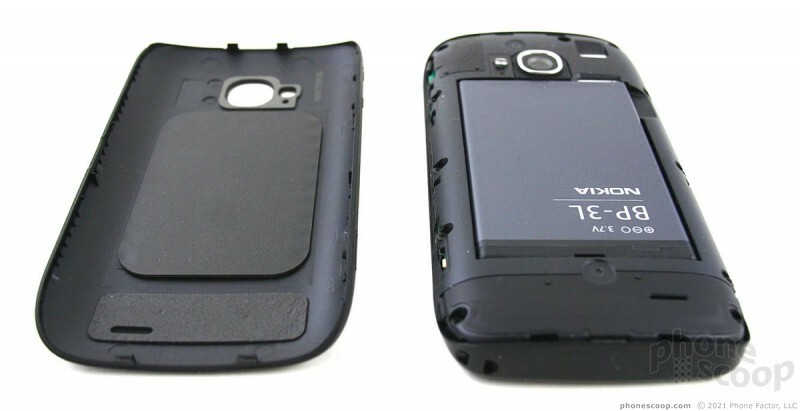 The battery cover encompasses the entire back surface of the 710 as well as a portion of the side edges. It comes off with no problem. The 710 - like nearly all Windows Phones - does not support memory cards, but you can access the SIM slot once you remove the battery. 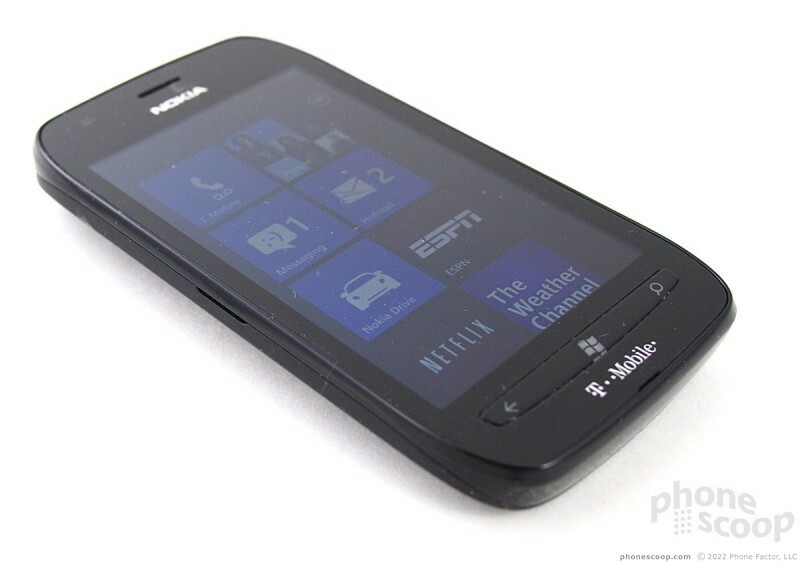 It is worth noting that the Lumia 710 uses a microSIM card, not a standard-size SIM, so it will be more difficult to swap in and out with other devices.